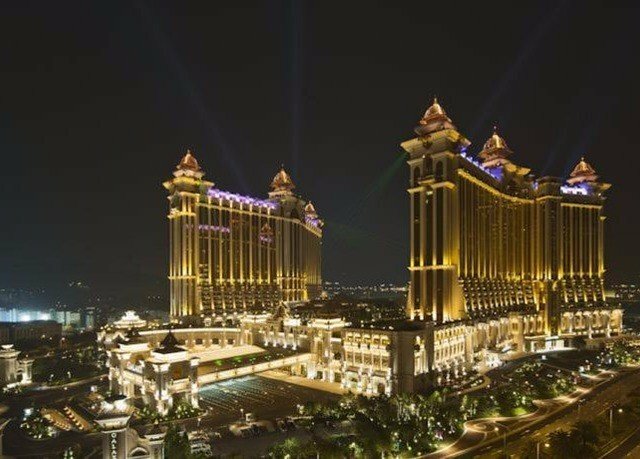 Just across the water from Hong Kong, the aptly named resort of Galaxy Macau™ offers out-of-this-world entertainment and leisure facilities on a truly grand scale, including a watery wonderland of pools, a huge casino, superb shopping and Michelin-starred restaurants. 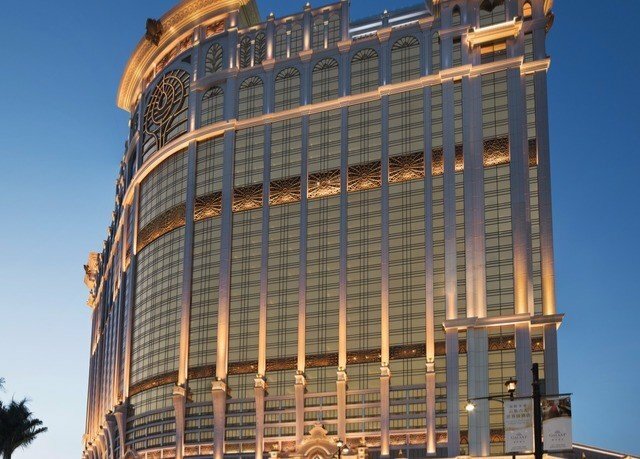 One of three hotels in the complex, JW Marriott Hotel Macau makes quite a statement of its own. 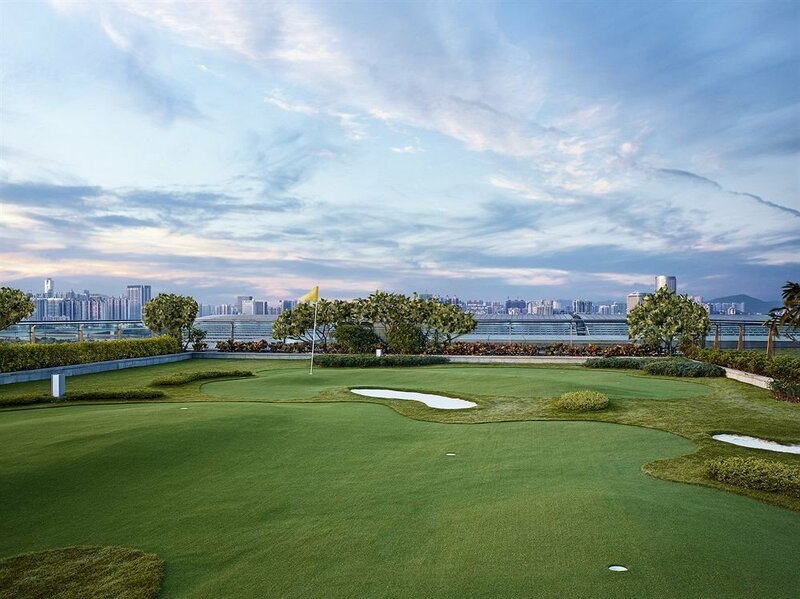 Boasting grandstand views of the resort, stunning interiors and a TripAdvisor Certificate of Excellence, this property is a real cut above the rest. 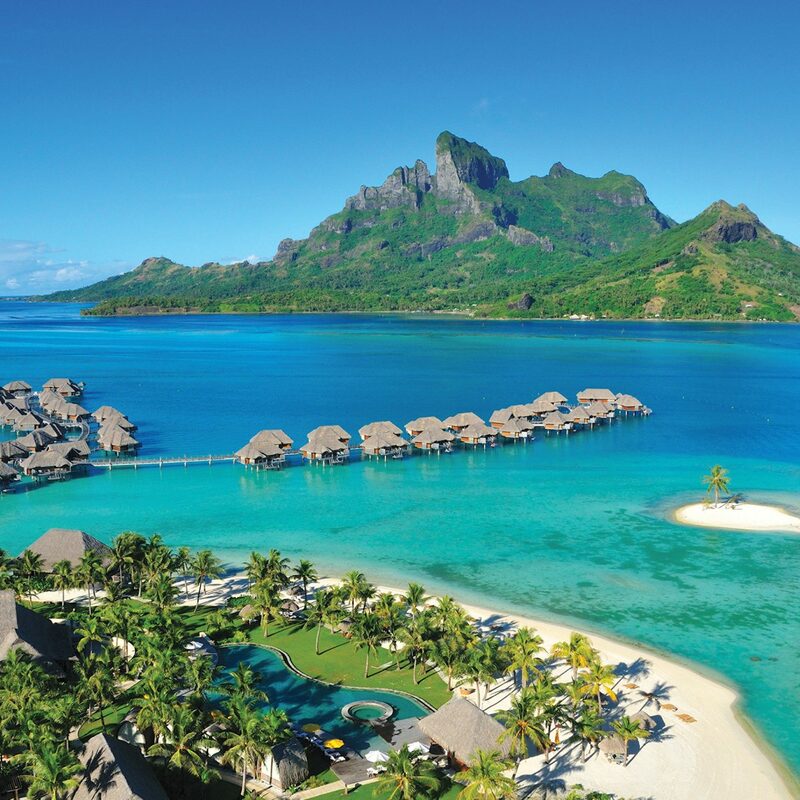 The hotel’s facilities are so high-end that you may find yourself not wanting to leave. 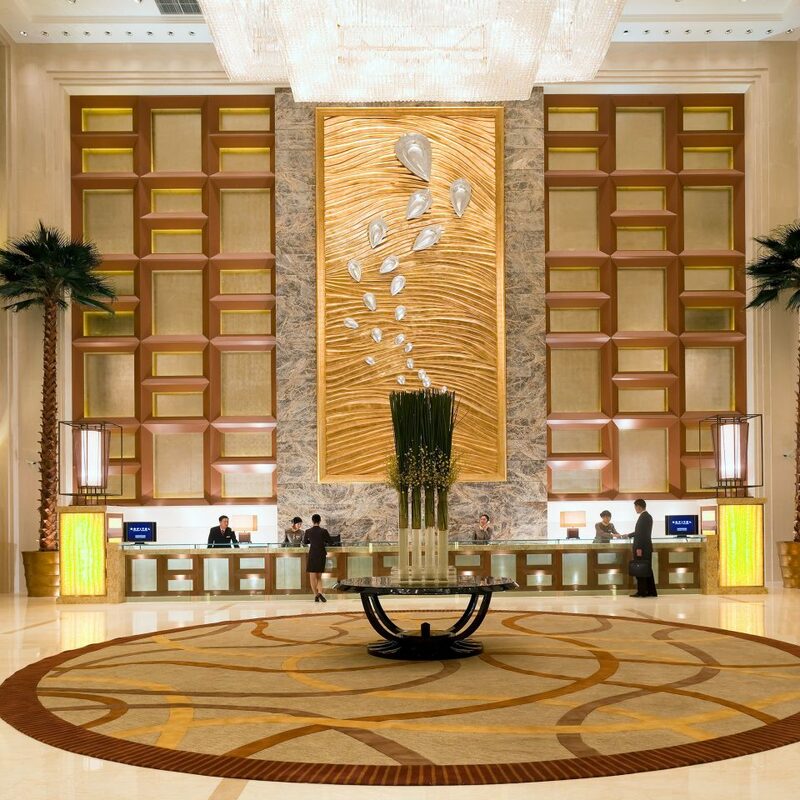 The majestic lobby, opulent common areas and sleek guest rooms provide comfort and a sense of grandeur. The oasis-like pool boasts a swim-up bar, and there’s plenty of room to sun yourself on the plethora of loungers. 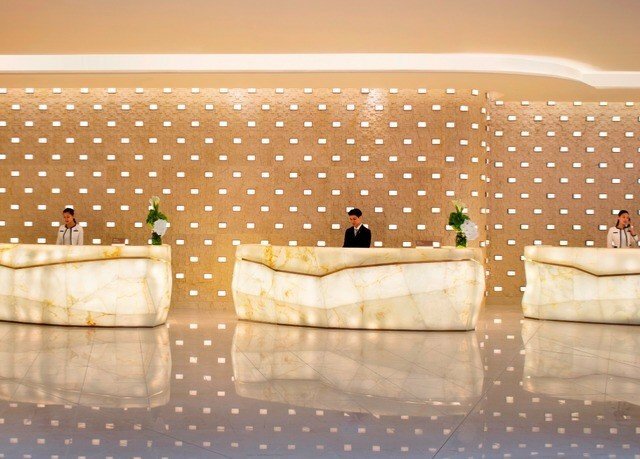 Meanwhile, the award-winning ESPA is on hand for luxurious treatments and pampering, and a state-of-the-art gym makes it easy to keep up with your workout routine. 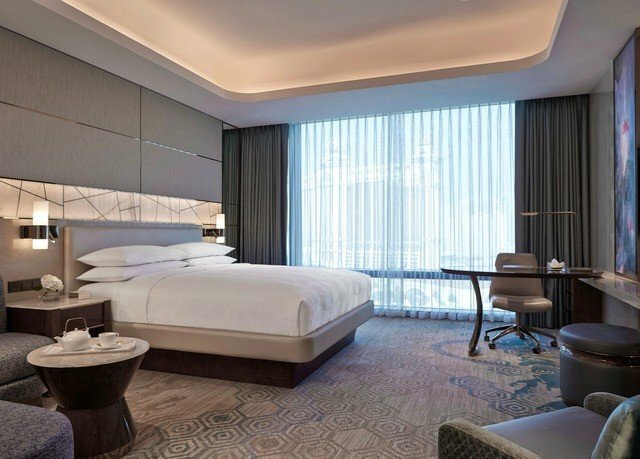 The huge Premier King rooms boast impressive resort views from their floor-to-ceiling windows and are sleekly finished in muted shades of metallic grey. 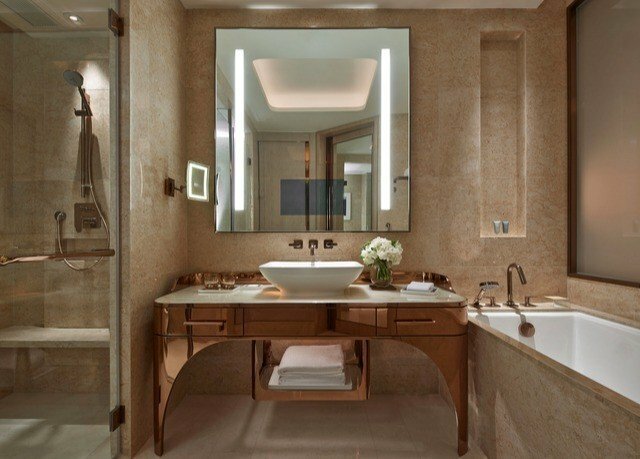 Each room features an en-suite bathroom, complete with a separate bathtub and shower. 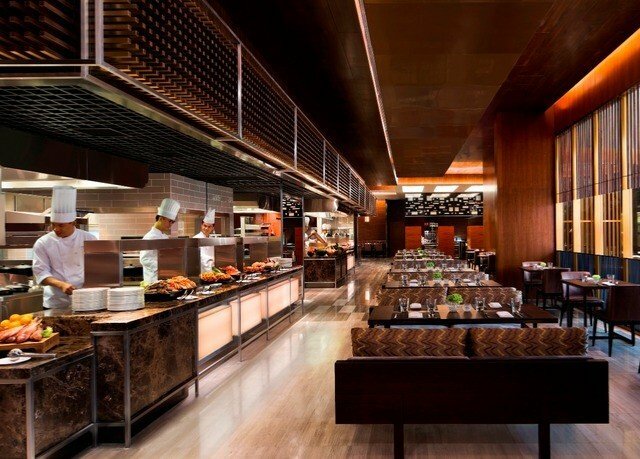 There are four dining options at the hotel, ranging from all-day international buffet fare at Urban Kitchen to exquisitely presented, authentic Cantonese cuisine at Man Ho. 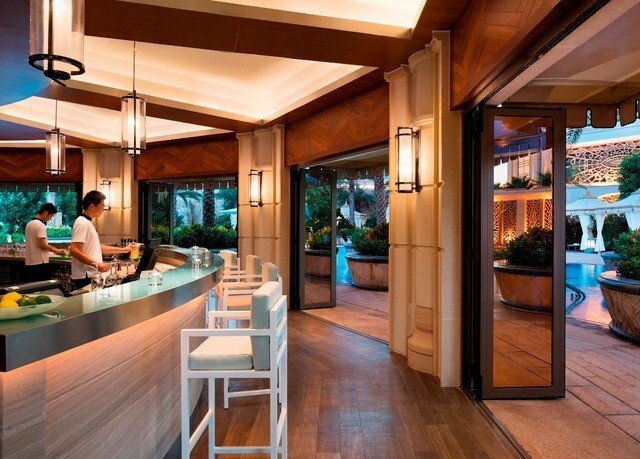 The Pool Bar has tempting seafood snacks, and the sociable Coffee House is good for your daily java fix. 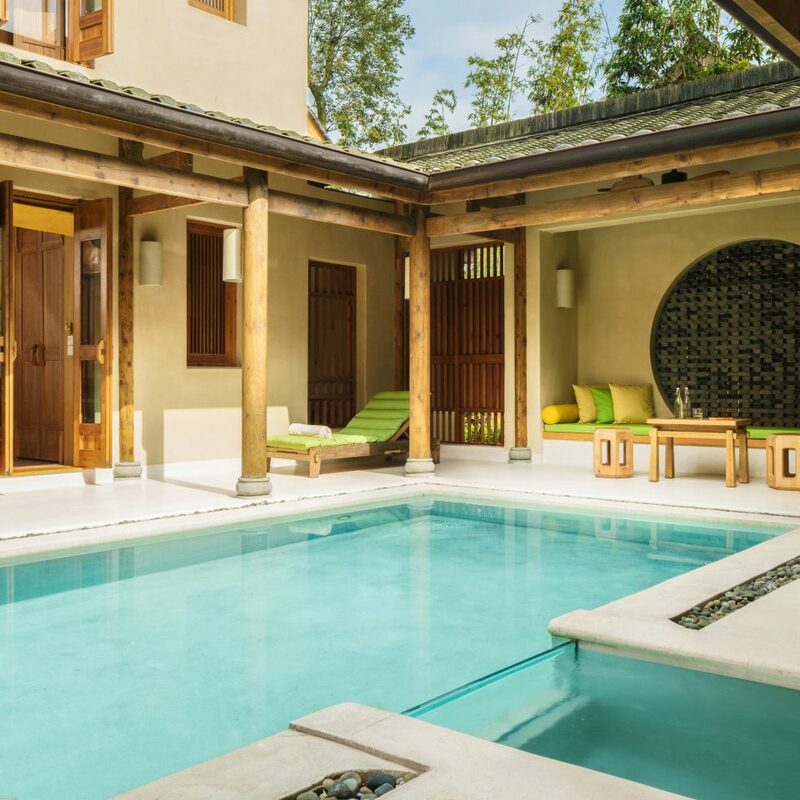 ESPA was recently awarded Best Spa Design of the Year at the SpaChina Awards, and it’s easy to see why. The spa is a serene retreat, with 10 treatment rooms, three couples suites and a host of therapeutic massages and body treatments. Other amenities include a lap pool, a steam room and therapy baths. 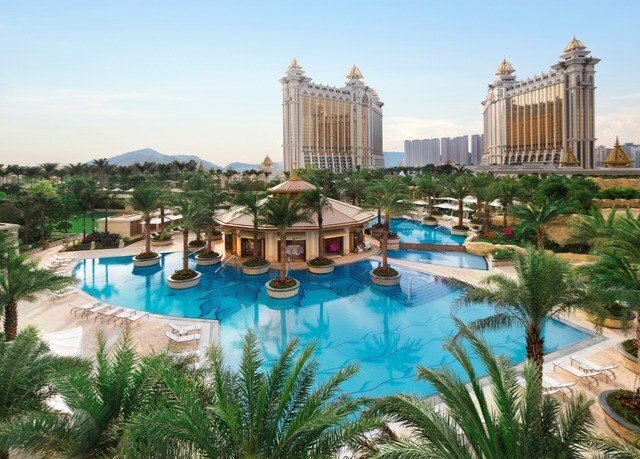 A short trip across a bridge from the neighboring island of Macau, JW Marriott Hotel Macau sits on the small island of Taipa and is one of three large hotels in the Galaxy complex. A few steps away, you’ll find the Grand Resort Deck, with a lazy river, an amazing wave pool and a man-made beach. 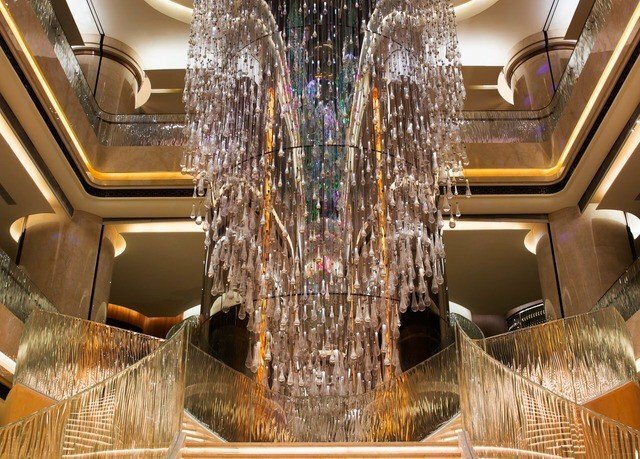 There’s also plenty of upscale shopping, a range of restaurants and a large casino at the resort. 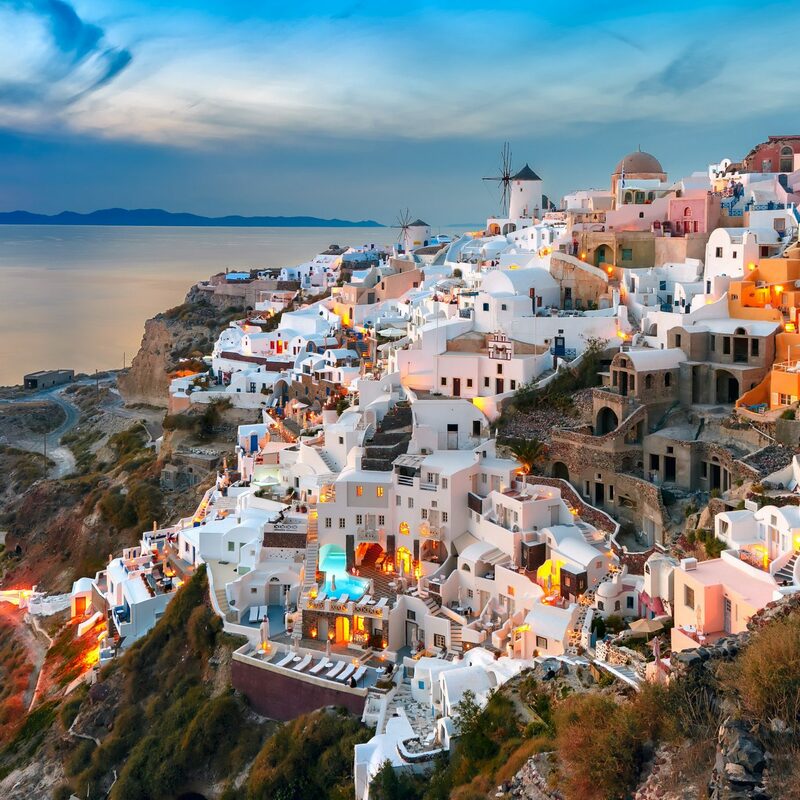 Great location and absolutely outstanding service. The front-desk staff Alex provided the high level of service. He gave us late check-out permission until 1pm and free-upgrade our room type. It was our first time to stay at JW Marriott Hotel. Thank you Alex. Stayed 2 nights at the hotel, 2nd time to be there. Booked seperately through different sites, the hotel was able to provide the same room for me after some communication so need not to change to another room the 2nd night. Alex checked me in quickly and recommended a breakfast package (1st night of my booking does not include breakfast buffet), price was reasonable and the buffet was excellent. 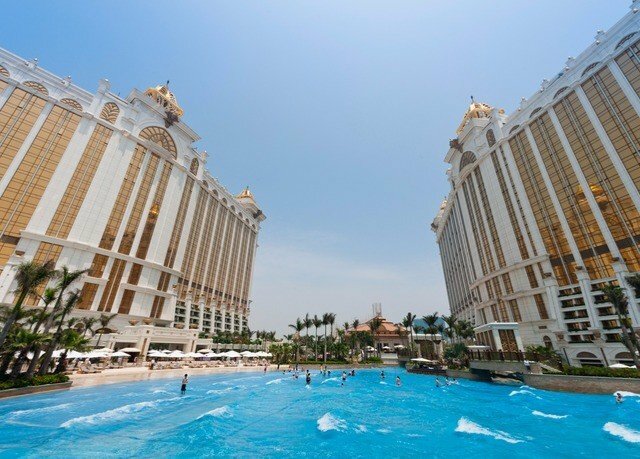 This hotel offer complimentary access to galacy macau grand resort deck, the deck offers lazy river, slides and wave pool which are very nice, we had great time at the deck for two mornings. Highly recommend this hotel to everyone looking for access to the deck and trying a JW Marriott! 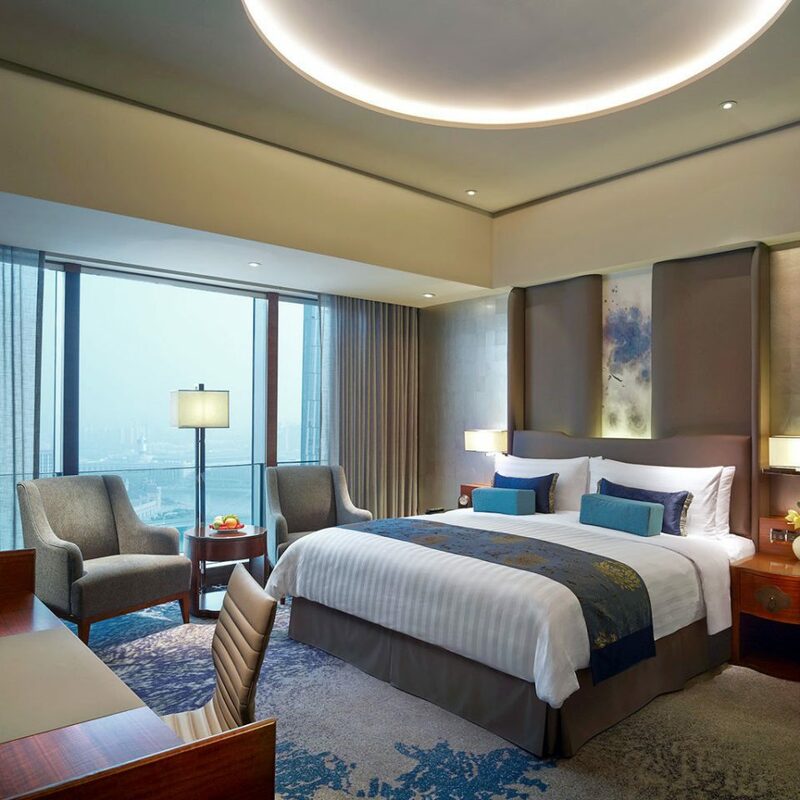 This time we checked in JW Marriott Macao Executive King Room. 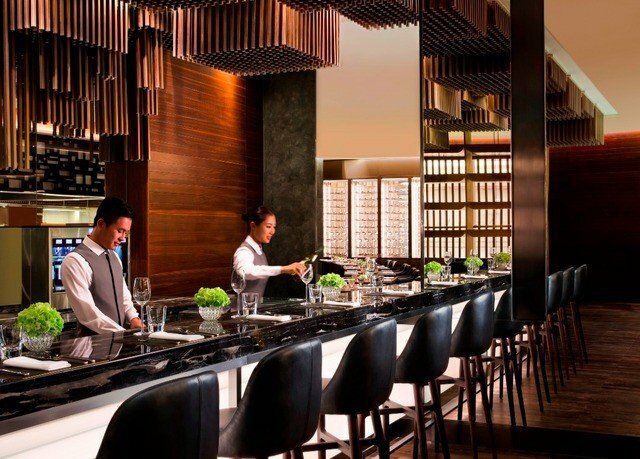 In fact this is my second visit (am still here today) to JW Marriott Macao ……after first time when they just opened. Check in counter and procedures were fast to finish. Corridor leading to the room was quite, bright and tidy. After we entered into the room the size of the room was obviously more spacious than we originally thought, in light of the room rate. Mini bar was placed right opposite the door with a small cabinet just at good size with those standard utensils placed properly and tidily. Right, materials used for the furniture, room, wall, flooring etc were all of very high quality. Those who had been to JW Marriott would probably know and appreciate their thought of providing a metal net for supporting your hand device such as mobile phone or iPad for entertainment while we were staying in the bath. Very caring idea indeed. 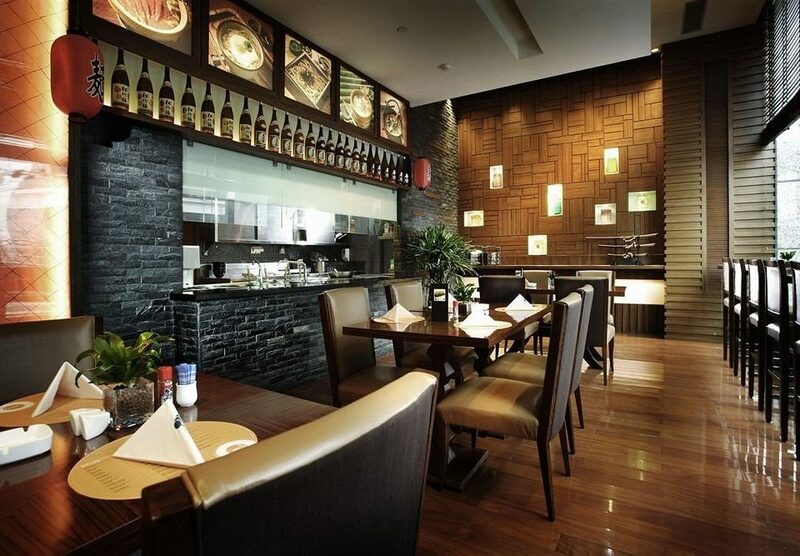 In room dinning is also excellent. The two of us, having had dinner, still wanted to try their room service ordered one tuna salad and one fired chicken wings. Absolutely well cooked. The fired chicken wings were like those popular in Korea BUT boneless. Skin being crispy while the meat juice remained there. The overall experience I have had been "excellent" so far is excellent. I would recommend this hotel to you. Tomorrow, we will go and experience their water facilities. My stay for celebrating birthday is wonderful. Yasmine from Front Desk was able to accommodate my room preferences. She even deliver the souvenir with handwritten card! This is beyond my expectations. Also, I must express my gratitude to Cathy Huang and Sylvia Zhang from At Your Service. They passed my request to the Front Desk and answered my inquiries promptly. So that Front Desk can try their best to accommodate my requests. Last but not least. Jason Ng from At Your Service literally ensure my stay was perfect. I lost my room keycard 1 hour before the grand resort deck is closed. With his help, i was able to get my room keycard promptly then enjoy my time at the grand resort deck. That's just made my day.